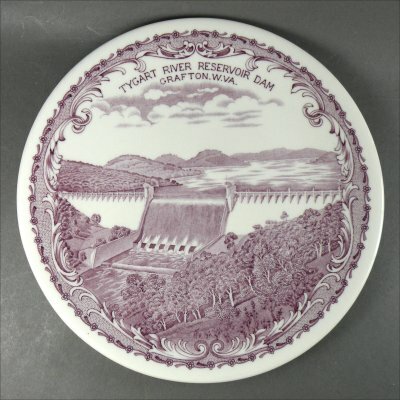 A series of plates, ashtrays and compotes was commissioned in honor of the 1936 dedication of the Tygart River Reservoir Dam in Grafton, W.V. 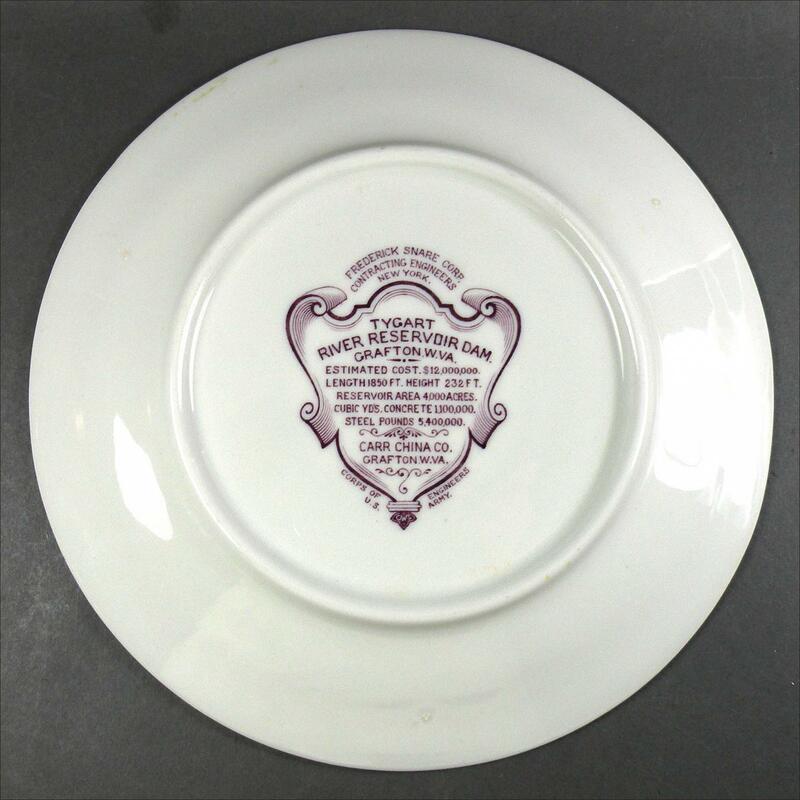 These plates were available at the dedication. The designer was George W. Staton, an English engraver. 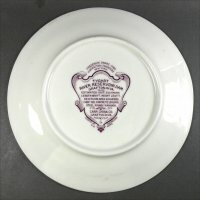 This plate, in lavender on white-bodied china, is 8 1/4" in diameter, very shiny, and in excellent condition with very light use/stacking marks.